(December 1, 2011) – Bligh Government introduces waste levy. (July 1, 2012) – Newman Government removes waste levy. (February 29, 2016) – Ten percent of rubbish comes from interstate. (August 7, 2017) – 4 Corners program, ‘Trashed’. (August 8, 2017) – Qld Premier Annastacia responds to Four Corners, ‘Trashed’. (August 9, 2017) – Mangoes for waste. (August 10, 2017) – Operation Tora begins. (August 11, 2017) – Operation Tora update. (August 12, 2017) – Enter donations. (August 16, 2017) – Inquiry launched. (August 17, 2017) – Landfill moratorium. (August 29, 2017) – Illegal dumping in Brisbane continues. (August 30, 2017) – Shipping containers of trash. (December 3, 2017) – Cross-border waste doubles to 830,000 tonnes. (March 14, 2018) – Ipswich gives clear message on waste. (March 20, 2018) – Palaszczuk Government announces reintroduction of waste levy. In 2011, Queensland became the last state to introduce a waste levy under the Labor Government of Anna Bligh at $35/tonne. This broke a 2009 election promise which the Liberal National Party opposition seized upon and pledged to remove at the next election. Radio National reported on the new levy in October, 2011. “Per capita, Queensland is the largest generator of waste in Australia – producing enough to fill Suncorp Stadium 16 times every year – and the state also has the second worst recycling rate in the country. The Bligh government is hoping to change this with a new waste levy that comes into effect in December, but the levy has upset local councils, industry and some recycling companies.”: New Queensland waste levy. Chamber of Commerce and Industry Queensland President, David Goodwin told the program that households shouldn’t be exempt. “Business is not entirely against it,” he said. A month earlier, CCIQ had released a statement opposing the waste levy saying businesses would ‘suffer’. (The CCIQ appears to have deleted its article after publishing of this blog. We have updated the link using the Wayback Machine archived link). “We know that many businesses do not have the capacity to absorb additional waste costs and are not in a position to pass costs on to their customers due to very poor consumer sentiment at present,” CCIQ General Manager Nick Behrens said. Both Mr Goodwin and Mr Behrens later made unsuccessful bids to enter politics under the LNP banner. 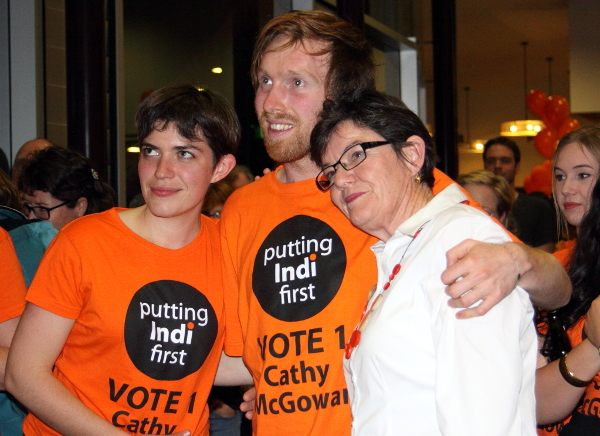 In 2012, Mr Goodwin resigned from CCIQ and nominated for a Queensland senate spot. He was later suspended from the party in July 2017 for a Facebook post in which he criticised Prime Minister Malcolm Turnbull and promoted Nationals leader Barnaby Joyce to take over. Mr Behrens resigned his position in 2016 and nominated for preselection for the seat of Brisbane Central. However, not all businesses were against it. In April 11, 2011, hazardous waste management company BCD Technologies told Business News Australia that it welcomed the waste management reform. Commercial Manager Jonathan Fisher said Queensland needed to catch up with other states. “Queensland has already fallen behind many other Australian states, but this landfill levy should help the state catch up quite quickly,” he said. The disastrous 2012 election loss of the Bligh Government to the Campbell Newman led LNP would see the levy short-lived and would lead to enormous consequences in the years to come. On June 14, 2012, Sue Lappeman from the Gold Coast Bulletin sounded an early warning that the Gold Coast was about to become a rubbish tip for NSW. The article, Cheaper to dump rubbish on the Coast, was tabled in the Queensland Parliament by Jackie Trad on July 11, 2012.
was again raised in the Gold Coast Bulletin last week, and I table an article for the benefit of the House,” she stated. By September, a series of Fairfax articles began to reveal the impact on the state. Rowan Barber from the Australian Sustainable Business Group told reporter Tony Moore that Queensland was now a dumping ground for the southern states of NSW and Victoria. “It is a perverse outcome, because you are trucking waste across vast distances to be dumped in Queensland,” he said. Ipswich mayor Paul Pisasale began to suspect his city was one of the main dumping grounds. “Look I don’t mind them bringing their waste to Ipswich from NSW because it gets turned into green electricity,” he said. “But what I do mind is these people coming in from NSW, using us and not paying their levy, their taxes (waste levy). The Brisbane Times also reported that a NSW metals company planned to bring 7000 truckloads to Queensland to avoid paying their home state’s waste levy. The company was not named but Grant Musgrove from the Australian Council of Recycling told the outlet that it would save them millions of dollars and that Queensland had made a mistake. “Yes, this is serious, but no-one can be certain on how large the problem is – and there is lots of debate around that, because no-one collects the data,” he said. A third Fairfax article in December 2012 warned that, More Sydney trash to be dumped in Queensland. In March 2013, somewhat ironically, Queensland Environment Minister Andrew Powell happily announced that the waste levy had been officially removed from all legislation. He described it as a ‘cash-grab’ and delivering ‘no tangible environmental benefit and, in effect, encouraged illegal dumping’. “As we have seen just a few days ago during Clean-Up Australia Day, people will dump their rubbish in forests, on charities, and in National Parks in order to avoid waste site fees,” he added. In April 2013, Fairfax journalist Leesha McKenny revealed a new scam whereby NSW operators could garner a rebate for digging up landfill and dumping it in Queensland. By 2016, new data suggested that 400,000 tonnes of landfill had arrived in Queensland from interstate during 2015. Now out of government, the LNP opposition leader Lawrence Springborg continued to blame the Bligh Government’s waste levy for illegal dumping in Queensland by Queenslanders. “We had people dumping waste illegally on the sides of the roads,” he said. New Queensland Environment Minister Dr Steven Miles acknowledged the problem but said that reintroducing the waste levy would be breaking a 2015 election promise and that landfill was part of a much greater issue. “When they abolished it, it just made sense that companies would find the cheapest place they could to dump their waste,” he added. Queensland Premier Annastacia Palaszczuk suggested that fining NSW might be a way to counter the problem. “I am concerned about the amount of trucks and rubbish that are coming from NSW into Queensland, maybe we need to look at fines,” she told the media. In a statement, the CCIQ commended the government for not introducing the waste levy. “This is the correct decision and for certainty sake we would encourage the State Government to take any levy permanently off the table,” stated Director of Advocacy Nick Behrens. Nothing eventuated further on the issue in 2016. Latest figures via ABC News Brisbane suggest that there was 350,000 tonnes received from interstate in 2014/15. This jumped 210,000 tonnes to 560,000 for the financial year 2015/16. Acting Ipswich Mayor Paul Tully told the ABC his region was the dumping capital. “We’re being flooded with hundreds of trucks a week … and the people of Ipswich have had a gutful of it,” he said. Tonight, Four Corners journalist Caro Meldrum-Hanna will look at the whole issue of waste and recycling in Australia. As part of the program, she’ll journey to Ipswich to see the latest impact on the city and its residents from the waste levy abolition. Full program, Trashed: The dirty truth about your rubbish. Premier Palaszczuk has responded with horror to the Four Corners program, saying she will seek urgent talks with NSW Premier Gladys Berejiklian to discuss the proximity principle legislation which is supposed to stop the interstate waste trade. “The proximity principle, under NSW law, makes it an offence “to transport waste generated in NSW by motor vehicle for disposal more than 150 kilometres from the place of generation, unless the waste is transported to one of the two nearest lawful disposal facilities to the place of generation,” she said in a statement. Despite an early grenade lobbed by former Premier Newman, Premier Palaszczuk has ruled out reintroducing the waste levy saying it was a NSW responsibility to enforce their legislation. “I’m going to make it a priority today to speak to the NSW Premier, to ensure that she enforces the NSW proximity laws,” she said. In response to Premier Palaszczuk, Premier Gladys Berejiklian has lashed out over the unrelated issue of GST amounts the two states receive. “I begrudge the fact that we pay billions to Queensland in GST every year and I would say to Queensland, focus on being a good government and doing what you need to do,” she said. Premier Berejiklian appeared not to address the illegality of a breach of NSW proximity principle laws. A standoff tonight over interstate-waste dumping between Queensland and NSW. AAP journalists Christine Flatley and Tom Rabe reported, “Fingers have been pointed in all directions but few solutions offered from politicians either side of the border to the problem of waste being shipped from NSW to Queensland”: Qld, NSW point finger over waste. Premier Palaszczuk has also commented on the use of large stockpiles of glass revealed on Four Corners. The fledgling Queensland bio-fuel industry may be able to make use of the substance in the future. “I’ve just come back from Nevada and we’ve seen technology which changes that product into a biofuel,” she said. Brisbane Times journalist Mark Solomons has sought comment from the Ipswich residents who have formed a local environmental activist group, Ipswich Residents Against Toxic Environments. President Jim Dodrill told the outlet that, “Cr Tully had done nothing to stop the expansion of local dumps and had ignored repeated warnings about breaches of planning conditions at the dumps. NSW EPA Executive Director Steve Beaman caught laughing about interstate-dumping in Queensland. Ipswich residents say their council has allowed the city to become the rubbish capital by approving five privately owned tips. Marlina Whop from 7 News Queensland visited the dump at New Chum and discovered a cross-border, floating waste levy had been suggested. 9 News Brisbane journalist Tessa Hardy traveled to Ipswich to witness the dump trucks delivering unabated. Further evidence reported by Caro Meldrum-Hanna shows that NSW is not taking the issue of interstate-waste dumping seriously. A secret recording of EPA Director Steve Beaman with waste industry operators shows him joking about sending landfill to Queensland. Industry figure: Are you confident that everyone uses the interstate waste-tracking system for more than 10 tonnes? Mr Beaman: God no, no. Industry figure: At least he’s honest. 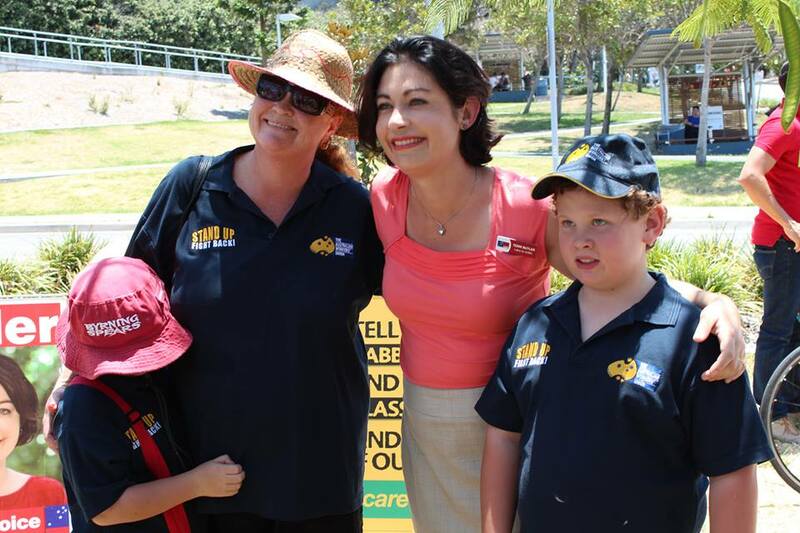 The Queensland premier says she can’t reintroduce the waste levy canned by the Newman Government because it would break an election commitment. “I made a commitment to the people of Queensland that under my government this term we would not put in place any new fees taxes or charges, and I keep my promises,” she said. Premier Palaszczuk has issued a statement, following up on the Four Corners program. “As I have said the revelation this week that the NSW Government is not enforcing its own laws is alarming. I repeat the NSW Government needs to enforce its laws. I can confirm there will be crack down on bulk waste transport activities – from as early as tomorrow – to ensure that operators are strictly complying with all necessary regulatory requirements. These border inspections by the Department of Transport and Main Roads will focus on the movement of hazardous wastes such as asbestos to ensure that Queenslanders are kept safe. The Department of Environment and Heritage Protection will also step up regular compliance checks at key waste landfill sites to ensure that they are operating within their environmental authority conditions. Next week, I will convene a meeting of waste and recycling industry representatives, our agencies and the Local Government Association of Queensland to discuss other long-term strategies to manage waste. This issue needs to be addressed with cooperation of the States. That is why the new cross border agreement between New South Wales and Queensland included cooperation on waste management. I reached that agreement with former Premier Mike Baird. Felicity Caldwell from the Brisbane Times writes, “Queensland will launch a crackdown on the border to try to combat the flow of waste arriving from New South Wales. NSW companies are shipping tonnes of rubbish over the border to dump it in Queensland, to circumvent the southern state’s waste levy.”: Queensland to introduce tougher border controls to curb waste migration. Fairfax journalist Peter Hannam writes, “The NSW environmental watchdog has asked the Independent Commission Against Corruption to examine allegations it had botched investigations of illegal waste activities in the state.”: NSW EPA refers waste industry corruption allegations to ICAC. Ten News Queensland reporter Lauren Day was present as the first truck was pulled over at Yamanto on the Cunningham Highway. 7 News Brisbane journalist Amanda Abate reported on the commencement of Operation Tora on the Gold Coast. Anna MacDonald from ABC News reported that thirteen trucks had been stopped and searched at the border at Yamanto. Brisbane Times journalist Tony Moore wrote of Annastacia Palaszczuk’s concerns for NSW dumping when she was acting environment minister in the Bligh Government. “When Annastacia Palaszczuk was acting environment minister in the Bligh government in June 2010, she backed a waste levy. “We need this industry levy to stop other states dumping their waste in Queensland,” Ms Palaszczuk said in June that year,” he wrote. It wasd also revealed in the article that Operation Tora had been running since August 2015 solely by the Department of Environment and Heritage Protection. “On day one of the operation 13 waste-related truck operators all originating from NSW were stopped and checked thoroughly by environmental compliance staff. There were no compliance issues identified for most of the trucks inspected, however officers will follow up with two of the operators to ensure that their operations are compliant with Queensland legislation. Inspectors from TMR also stopped and checked 56 trucks with a total of 10 defect notices issued. As part of the statement, the minister indicated that he and Premier Palaszczuk are scheduled to meet with waste industry providers on Monday to address concerns in the community. Brisbane Times journalist Tony Moore has identified the major waste companies and the donations they have made to both political parties. JJ Richards and Sons’ is the largest donor to the LNP with $172,236 over the years. Cleanaway is the largest donor to Labor with $46,581. Premier Palaszczuk and Minister Miles has met with waste and recycling industry companies, local government representatives in response to Four Corners Trashed. “I met with industry yesterday to discuss long term strategies to manage waste, and the investigation is an outcome of that meeting,” Premier Annastacia Palaszczuk said in a statement. Premier Palaszczuk also announced an independent investigation into interstate waste transportation. Minister Miles added that Operation Tora had stopped a high number of interstate vehicles. “Of the 49 waste trucks inspected by EHP, 31 came from interstate, which is 63 per cent – demonstrating a high level of interstate activity in south-east Queensland,” he said. The Queensland opposition continued to show very little interest in the problem describing the review through a spokesman as a ‘new low’. “Yet another review?” he said. The federal Greens are pushing for a senate inquiry into the allegations raised on Four Corners of cross-border waste dumping, Gareth Hutchens from The Guardian reported. “We’re going to have to step in and actually scrutinise what’s going on in the recycling industry in this country,” Greens Senator Peter Whish-Wilson said. Eleven candidates have faced the community over multiple by-election issues as voters prepare to go to the polls to elect a new mayor to replace Paul Pisasale. Acting-mayor Paul Tully accused a man of defaming him and assaulting him. Councillor Anthony Antoniolli confirmed he received donations from a local recycling plant. Brisbane Times journalist Tony Moore reports that the Queensland Government is considering a moratorium on landfill sites. “I have asked for advice from my department on having an interim moratorium and a longer-term moratorium,” said Environment Minister Miles. @AnnastaciaMP why isn't your inquiry examining the actions of local councils approving a spate of giant landfills in recent years? Joe Llewellyn has told Emma Clarke from The Queensland Times that the state government inquiry would be pointless unless it resulted in the return of the waste levy to match the amount charged in NSW. “They’ve got to put a levy on it otherwise they may as well forget about it. The only way they’re going to do anything is if they put a levy on it,” he said. So far no acceptance of our many invitations to discuss the issue. Brisbane Times reporter Ruth McCosker revealed that ‘Illegal dumping costs Brisbane ratepayers $800,000 a year’. One of the reasons the Newman Government gave for removal of the Queensland waste levy was that it would stop this illegal dumping. As recently as 2016, the LNP reaffirmed this through the then opposition leader, Lawrence Springborg. NSW Premier Berejiklian has not halted the interstate waste trade into Queensland. 7 News Queensland’s Simon Love reported on a covert operation which filmed containers arriving at the railyard at Acacia Ridge and being transferred to trucks for dumping at Ipswich. The process means NSW can circumvent the border road blocks of Operation Tora. 7 News Queensland’s Kate Leonard-Jones reports that cross-border waste into Queensland has doubled for the financial year 2016-17 to 830,000 tonnes, mosting reaching New Chum in Ipswich. Acting Gold Coast Mayor Donna Gates said the council had been successful in reducing NSW waste to its tip by raising charges to match NSW. “We’ve reduced the incoming waste from 7,000 tonnes a year to 50 tonnes a year,” she said. 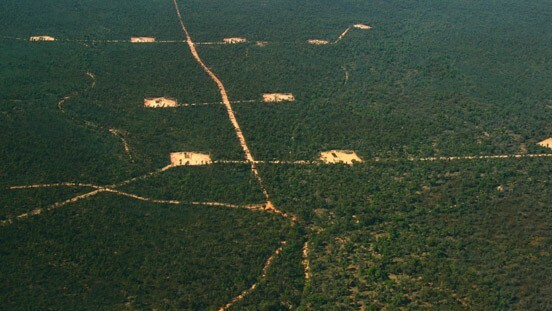 The government’s report into the matter is reportedly finalised and is now residing with the Queensland Department of Environment and Heritage Protection. They will hand the report to the new government once the election is officially called and cabinet resumes office. The ABC’s Kristian Silva reports that, “The Queensland Government will reintroduce a levy on “unscrupulous operators” who have been using the state as a dumping ground for commercial waste, after nearly a million tonnes of rubbish was trucked in from over the border last financial year.” Dumped waste levy recycled by Queensland in a bid to stop rubbish at the border. However, as The Brisbane Times Felicity Caldwell reports, “Legislation to curb the dumping of interstate waste in Queensland must be carefully drafted to avoid breaching the federal constitution, a retired judge has warned. Former Supreme Court Justice Peter Lyons was asked to head an investigation into the transport of waste from other states into Queensland in August 2017. Mr Lyons warned Queensland legislation to tackle the issue could be at risk from section 92 of the Australian constitution which required that interstate trade be “absolutely free”.” Queensland risks legal issues if waste levy does not apply to all garbage. Campbell Newman and the @LNPQLD terrible decisions led to waste from Sydney developments being dumped on Queenslanders. 900k tonnes of interstate waste trucked across the border in 2016/17. The former LNP government repealed our State's previous waste levy & allowed Queensland to become a dumping ground for New South Wales.